Legal matters are no laughing matter, so choosing the right legal representation should never be taken lightly. When you seek lawyers — whether you are a defendant or a plaintiff — you need to know you’re working with an experienced team capable of successfully handling your case. 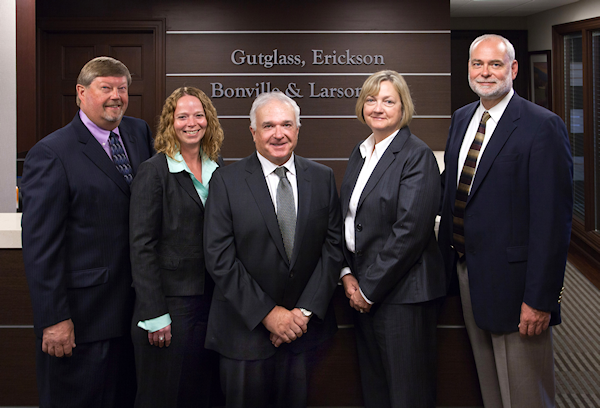 The lawyers at Gutglass, Erickson, Bonville & Larson S.C. offer just that. Our team of lawyers consists of respected leaders in their respective practice areas, so you know you’re getting the best of the best. And you don’t have to take our word for it — our impressive track record speaks volumes for our legal expertise. Year after year our partners are named to the Best Lawyers and Super Lawyers directories, including multiple Best Lawyers “Lawyer of the Year – Milwaukee” awards. The firm as a whole is also consistently named one of Best Lawyers “Best Law Firms – Milwaukee”. These awards are determined by an exhaustive peer review process, indicating how even fellow attorneys are comfortable referring to our firm’s expertise. At Gutglass, Erickson, Bonville & Larson S.C., we understand that our success is built upon your success. 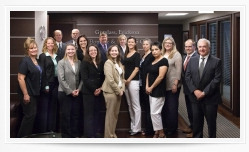 Our lawyers are dedicated to resolving every client’s case to their best advantage, and with our 30 years of experience, we’ve developed extensive resources to aid us in our commitment to help our clients succeed in both their personal and business objectives. We don’t look at your legal proceedings as just a case — our lawyers care for each and every client as a person, and will strive to best serve the clients in their capacity as legal counsel. Currently serving the State of Wisconsin Circuit Courts, Eastern and Western Districts of Wisconsin Federal Courts and 7th Circuit Court of Appeals. Our vast experience gives us the ability to proactively address potential opportunities and threats to our clients and their personal and business objectives, as well as respond rapidly to their concerns. What good would our legal counsel be if it was not comprehensive and fully dedicated to addressing our clients’ needs? The lawyers at Gutglass, Erickson, Bonville & Larson S.C. bring an unparalleled focus and dedication to each and every client interaction. The lawyers at our firm always move swiftly yet with attention to detail when handling your legal matters. We’re always focused on your case, not on our bottom line. Contact an attorney from Gutglass Erickson, Bonville & Larson S.C. today for more information about our services or to speak with our expert lawyers for a free evaluation of your needs.